Never underestimate how you look to others! Since we all have eyes, then it is fair to say that beauty is really in the eye of the beholder, thus the importance of this first impression. 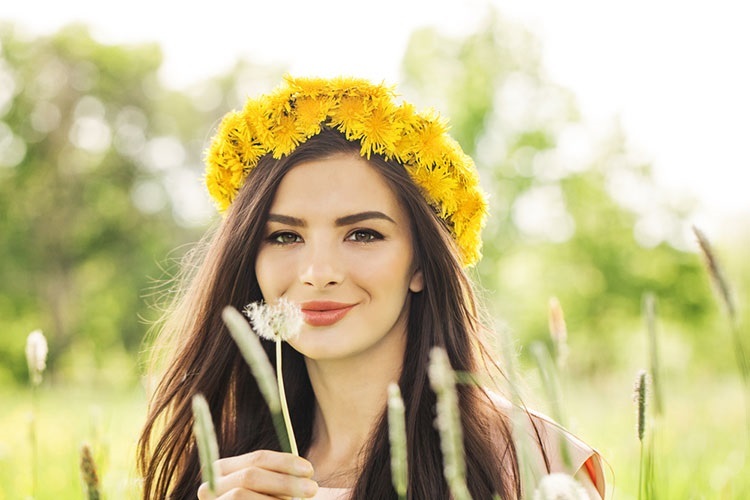 In this article, which focuses on beauty tips for girls, you will discover how you can learn how to be beautiful by following some of the tips shared in this discussion. One of the first things most people look at when meeting another person is their face. As such the most noticeable item is probably your teeth, as everyone appreciates a nice smile. Thus the importance of making your teeth and smile the best they can be. That all important first impression makes the smile one of our top beauty tips for girls. For some girls, this may mean regular dental appointments to ensure their teeth are healthy and perhaps even the use of braces to ensure straight teeth or whitening treatments or products to make their teeth pearly white resulting in an attractive smile. Probably a very obvious one of our beauty tips for girls is to avoid body odor, which means having regular showers and employing good basic hygiene. Another important consideration is your body’s scent, or how you smell to people around you, as you want to leave a good impression. Time to shop around and find a scent that compliments you. Remember to only apply enough perfume for people to notice, but not so much that their eyes are watering. It is much better to apply your perfume in small, memorable amounts rather than overdoing it and turning people off. Similar to what we commented on concerning wearing the right amount of perfume, too much make-up can make you look worse than none at all. So remember the moderation rule again. Just use enough makeup to help you look attractive, but do not overdo it and have excess amounts covering your face. Having the correct balance is essential. You want to attain a naturally looking attractive look when applying your makeup. Otherwise, you run the risk of looking cheap. This is not something we would recommend for our beauty tips! Eating the right foods will help you look good and feel good as well. It is important to eat a healthy balanced diet if you want to look healthy to those around you. To ensure that your diet includes the proper vitamins and mineral necessary to promote a healthy eating regime and this will be reflected in how your body looks and feels. Also, don’t forget the importance of drinking enough water! Without proper exercise, we all tend to gain weight. Being overweight and obese is not going to attract very many people and allow them to get to know you better. Generally, girls who are in shape are going to get more attention and appear more attractive to others than those who are fat and out of shape from eating junk foods and not exercising. Being in good shape is not only healthier and makes you look better, but it also makes you feel good about yourself. For many readers, this might be one of the best beauty tips in this article. Often what you wear can help to offset any shortcomings that you may have due to your looks and general body physique. So what you wear can be an important consideration when learning how to be beautiful. Choosing the types of clothes that enhance your best features and minimize your poor ones is a very smart choice when shopping. Sometimes buying what is trendy is not in your best interest if you wish to look attractive. Learning how to be beautiful is not something that you can master overnight or in a day or two. It is an ongoing self-improvement project and depending on where you are in the process will determine how long it may take you. This may also influence the number of these beauty tips that you need to add to your current lifestyle. Still, if you are willing to work hard on your self-improvement and consistently apply some or all of these beauty tips for girls in your life, then you will begin to feel better about yourself and your ability to appear attractive to others as well. I sincerely hope that you found these beauty tips for girls useful and take action today!